Knowledge can be the key to a speedier house sale. That’s why you’re smart to learn all you can about selling your house — from appraisals and negotiations to what to expect at final closing. Now’s a good time to find out how a Premium Properties agent can help you market your house for the quickest sale at the best price possible. Create a marketing plan for your home that will help distinguish it in your local marketplace and attract buyers to your property. This may include advertising in the newspaper, posting your listing on the Internet, holding an open house and more. Premium Properties Sales Professionals often use the Premium Properties Customized Marketing System to create a personalized selling program for clients. Its purpose is to sell a home at the best price possible in the shortest amount of time. A key part of the marketing plan is setting the list price. If a home is priced too low, it may cost you money. If a home is priced too high, potential buyers may be scared away. To determine the best asking price review the cost of recently sold homes, evaluate the competition and study marketplace trends. Premium Properties Sales Associates are trained to use this information to help you reach the right asking price. It is also helpful to discuss other terms and conditions, such as timing and items that can be included with the sale of the home. Both of these can make your home more attractive to potential buyers. Now it’s time to get your home ready for the spotlight. Start with a good cleaning, then eliminate any clutter, add a fresh coat of paint and tidy up the yard. Talk to your real estate professional about other tips that can help boost a home’s curb appeal and impress potential buyers once they’re in the door. One way to make a home more attractive is to purchase a Home Protection Plan. This insurance protects you, the seller, from paying repair or replacement costs of major items during the listing period. It also protects the buyer during their first year of homeownership. In addition, make sure you are aware of all the federal, state, and local disclosure laws. This information can be obtained by the specific local and federal government agencies or from your local Premium Properties Office. 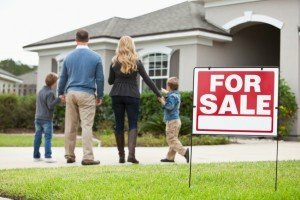 Remember “For Sale” signs bring in buyers. Do not allow your children to open doors to strangers. Talk to your Premium Properties Sales Professional about additional safety tips to help protect you and your family. A buyer has made an offer – now it is time to negotiate. Rely on your real estate professional to guide you through this process. He or she will help you arrive at an acceptable price, terms and conditions. Once you have accepted an offer, help keep the deal together by meeting deadlines and criteria, including home inspections, appropriate buyer visits, scheduled deposits and other steps. In fact, during this period there may be a renegotiation of the accepted offer price depending on the outcomes of these visits. As the closing nears, you may also need to perform repairs or do additional work to the house as agreed upon in your contract. In addition, you will need to have the house “broom clean” prior to the closing so that the buyer can complete a final walk through. When you finally arrive at the closing table, come prepared with the appropriate certificates and approvals as required by your town, county and state. Ask the appropriate agency or get a list of what you need from your local Premium Properties Office. Once the money has exchanged hands and all the papers signed it’s time to hand over the keys and concentrate on your next big project – getting YOUR new home in order.